Untertitel: Zur Markierung eines ForschungsfeldesThe year of 1968 takes a prominent position in the post-war history of West Germany. On the one hand, it indicates the event of a political onset, on the other hand, it marks a watershed in middleterm and longterm social change. The movement of 1968 saw itself as anti-capitalistic and critical towards big business, which it regarded as the hotbed of reactionary politics and resistance against liberal and democratic forces in society. These global allegations, which generally were not derived from genuine inspections of their object and first of all were raised against the Springer corporation, caused anxiety in numerous companies, the more because their standing in society had considerably changed throughout the 1960s. Nevertheless, from anxiety a new self-conception emerged, and finally a more active self-representation of companies in public. At closer inspection, however, it becomes clear that essential elements of structural social change had not at all to be put through against the resistance of business, but that, on the contrary, companies themselves were agents of structural change towards a mass consumer society - something that went much too far in the opinion of many activists of 1968 who took a critical stance towards consumerism. In the course of this structural change, companies themselves changed their organizational patterns, their hierarchies, their mode of corporate management and, finally, their behaviour in dealing with their own past. Untertitel: Frau Dr. Hedwig Behrens zum 80. GeburtstagIn the course of the more than 40 years, that the institution has been existing it has gained reputation as the exemplary and most modern business archive of the Ruhr area. In the future it is supposed to go on as well as an information bureau for all those interested in the history of the Gutehoffnungshütte and as a living memory of the enterprise, whose development is not only registered. Since 1963 the Historic Archive of the GHH has increasingly opened its doors for scientific research, which is proven by more than 5 000 visits. That way the Historic Archive of the GHH is helping the systematic research in economic history. Untertitel: The Netherlands Trading Company (NHM) in Japan, 1859 to 1881In late December 1880 the Nederlandsche Handel-Maatschappij N.V. (Netherlands Trading Company Ltd. hereafter: NHM) closed its last remaining sales office in Japan. The NHM was probably one of the largest and most successful Durch trading houses from the mid-1850s. Why did the NHM fail and decided to pull out of Japan? I will argue that the failure was mainly due to the loss of old and profitable networks after the Meiji Restoration of 1868 and the inability of the NHM to establish the same kind of links with the new Japanese government. The exit of the NHM mirrors the decline of Dutch economic relations with Japan after 1859. The once prominent position of the Dutch was lost to other western countries, notably Great Britain, the United States, France and Germany. The failure of the NHM can hardly be attributed to only exogenous or endogenous factors. The revolutionary changes introduced after the Meiji Restoration could not have been foreseen by any businessmen. The NHM sales offices may have failed in Japan, but the company as a whole continues to prosper in the Dutch East Indies and other markets. Business history is mainly concerned with investigating and explaining the successes of entrepreneurs ans shows relatively little interest in business failures creating an unbalanced view of the history of business. The history of teh NHM in japan provides an opportunity to investigate a case of business failure and the many factors that influence entrepreneurship. Entrepreneurs often try out new products and probe new markets. When the results are disappointing, they pull out. Failed investments can provide valuable lessons and a company may try to ente the same market again as the NHM did successfully in the 1920s when it opened offices in Kobe, and after the Second World War in Osaka and Tokyo. From 1967 to 1971 the Industrial Reorganisation Corporation (IRC), set up as a semi-public institution by the British Government, acted as a catalyst for about 50 private industry mergers involving over 150 companies of various sizes. Its ultimate purpose was to improve the performance of British industry by overcoming the alleged dominance of small-scale companies in Britain. The article examines the accuracy of this underlying assumption held by the policymakers responsible at the time, which implied a serious disadvantage in the structure of company scale in British industry in relation to other leading industrialized countries. The comparison undertaken of the manufacturing industries of West Germany and Britain based on the respective production censuses reveals that there is not sufficient evidence for this reasoning. If British industry was indeed relative inefficient at the time, as it is generally understood, this can only have resulted from reasons other than the non-existing problem of too many smallscale companies. In post-war Germany the name of Hermann J. Abs represented the link between business and politics. As one of the most influential personalities during the period of reconstruction in Germany after WW II, Abs was entrusted with several responsibilities. He founded and led the German Reconstruction Loan Cooperation (Kreditanstalt für Wiederaufbau); held for a long time the chairmanship of the «Deutsche Bank»; advised the German Chancellor Konrad Adenauer in economic questions and was the Chairman of the German Delegation for international negotiations on German debts in 1951 and 1952 (London Debt Agreement). A German law of 1965 limiting the number of supervisory posts was even known as «Lex Abs». In addition to this, the name Abs also plays a prominent role if one investigates the influence of banks on the German Nazi-regime. In the «OMGUS-Report on the Investigation to the Deutsche Bank» he was reproached for having been a member of the Board of Directors of the «Deutsche Bank» since 1938. As such, he was made responsible for the «Aryanization» of Jewish companies and for the take over of important banks and companies in order to expand German influence in World War II. Important Jewish bankers and entrepreneurs in the occupied countries however, attested Abs to have made every effort to help them during the time of Nazi-government. Abs also had contact with the German resistance, e. g. Helmuth von Moltke and - one of his best friends - Peter Yorck von Wartenburg, who were both murdered by the regime because of their opposition to it. On the basis of new sources the article not only discusses if Abs was personally involved with the Nazi-regime, if he can be held responsible for the take-over of Jewish companies, the crimes of IG-Farben and the gold-trade of the regime. The contribution also throws light on the scope of options open to a gifted man like Abs, who also wished to pursue his career under the conditions of Nazi-Germany. A few examples shows how Abs helped Jewish bankers and how in 1940 he transferred «Reichsbank» gold to Sweden. Abs is described as an enigmatic figure: He was on friendly terms with the notorious Vice President of the German «Reichsbank» Puhl but nevertheless contacted by the German opposition to participate in the discussion in «Kreisau». Untertitel: The international success of Campari from its origin to the 1930sThe case of the drinks company Campari allows detailed analysis and greater understanding of the role of branding in the success of a business, and it also demonstrates how its success was the result of the interaction between producer and consumer. The importance of the commercial network is also highlighted, in particular its ability to perform the delicate but essential task of acting as an interface between the producer and the market. The original and innovative advertising promoted by Davide Campri played a major role in the creation of this interface. The case also demonstrates that trademark legislation did not always yield the results the company hoped for. Only robust defense of the market through a variety of means managed to overcome legislative limitations and allowed the company to consolidate the success it had achieved. Untertitel: The Euromarket, the Oil Crisis and the Rise of International Banking"The 1970s are a crucial decade for understanding the modern financial landscape but it is still relatively unexplored in financial history. It was marked by the end of the Bretton Woods regime, the progressive liberalisation of finance, the return of banking crises and two massive energy crises. As archives are now providing new archival material, this paper seeks to analyse a neglected aspect of the 70s which touches on all of the above-mentioned phenomena: the progressive privatisation of international financial flows to Less Developed Countries (LDCs), especially in Latin America and South-East Asia, and its impact on the European banking sector. After the collapse of the Bretton Woods’ system in 1973 and until the debt crisis of 1982, Western commercial banks assumed an increasing role in transferring huge amounts of dollars accumulated by oil-exporting countries to LDCs through the so-called «recycling» mechanism of the Euromarket. The trend marked a clear break with the past since, until the late 1960s, development finance had mostly been provided by public institutions and thus gave commercial banks a new central role in international financial matters. In the short term, the privatisation of credit proved to be a profitable bet and it allowed a renaissance of the banking sector after the regime of Bretton Woods. Besides, these international flows of money provided the basis for the financial globalisation to come. In the longer term, many LDCs became subject to the imperatives of private institutions and prisoners of a «debt trap» throughout the 80s. We still know little about the attitude of international organisations towards the progressive privatisation of finance and the recycling mechanism and the impact of the oil crisis on the European banking. This paper will suggest some tentative ideas about such matters by relying on new archival evidence, particularly from the International Monetary Fund (BIS), the Bank for International Settlements (BIS), the Bank of England and the archives of two major European commercial banks in France and United Kingdom, notably Lloyds Bank and Société Générale. Untertitel: Reiseeindrücke deutscher Ingenieure von Produktionstechnik und -kultur in der Eisen- und Stahlindustrie der USA, 1900-1930The article analyzes German engineers\' and steel managers\' visits and tours of the U.S. iron and steel industry in the period between 1900 and approximately 1930. It argues that the impressions those engineers and managers perceived and formulated in intra-industry communication were highly distorted and biased by the production and industrial relations problems back home. Whereas selfconscious steel engineers of the Ruhr compared themselves favorably to their U.S. competitors in terms of the technical standard attained, attributing remaining productivity lags in Germany to market and raw material disadvantages, they projected their own ideal view of harmonistic employment relations, apparently hampered by the existence of unions and the shop steward system in Weimar Germany, onto the situation in the U.S. where the «non-union system» persisted well into the 1930s. Industrial visits of German engineers to the U.S., therefore, served less as a mode of exchanging realistic perceptions between the two most advanced producers of iron and steel in the world, but to bolster a developed technological selfconsciousness and to underpin a harmonistic ideological «workplace community-concept» instrumental in the militant political debate of the 1920s. Untertitel: Two Automobile Manufacturers in the Crisis of the 1970sAfter decades of prosperous development, the 1970s posed an economic challenge to the automobile industry. For the two manufacturers examined here, Volkswagen and Peugeot, these crises derived from external factors like the oil crises in 1973 and 1979 as well as from the companies’ internal difficulties in the periods 1971 to 1975 and 1979 and 1985 respectively. This paper asks whether these crises were an occasion for the manufacturers to get rid of traditional company benefits. Since the middle of the 1960s, Peugeot’s and Volkswagen’s social policies have been marked by qualitative change, notably by a more intense focus on the individual expectations of the employees, a greater economic conditionality of social benefits and a concentration of the target group of the employees. The article reveals an ambiguous picture of cost cutting in the social domain: While the crises facilitated the questioning of company benefits, most restrictive measures, if ever realized, remained temporary. Moreover, new social initiatives were created despite the crises. Summing up, the crises provided an argument for restricting social policy, but few benefits were definitely eliminated until the end of the 70s. The main reason for the repeal of some social benefits was not their costliness, but that they did no longer correspond to the needs of employees. The following case study suggests that companies do not generally reduce their social benefits during periods of economic crises. Untertitel: Starting conditions for the transformation of the GDR-economy: combines as future market enterprises?The paper explores whether or not the combines – the organizational units which dominated the industrial sector of the German Democratic Republic (GDR) - would have had a chance under the conditions of a market economy. The article begins with a description of GDR's system of control of the country's economy, which the combines formed a part of. It then turns to a discussion of the preconditions for the combines' transformation into market-oriented firms. This is done along three dimensions: top management; plant and equipment; and range and quality of products. The results are - not surprisingly - mostly negative; nevertheless there existed nuclei for a fresh beginning under the new conditions of the market economy. The article examines the reconstruction of the Deutsche Reichsbahn in the Soviet Zone of Germany (resp. the GDP,) from 1945 to 1963. From 1945 to 1948, the Soviet Military Government dismantled vital parts of the railway network, mainly the second tracks of major lines. After the war damages were repaired, the loss of the second tracks proved to be the most serious obstacle to a normalization of transportation. 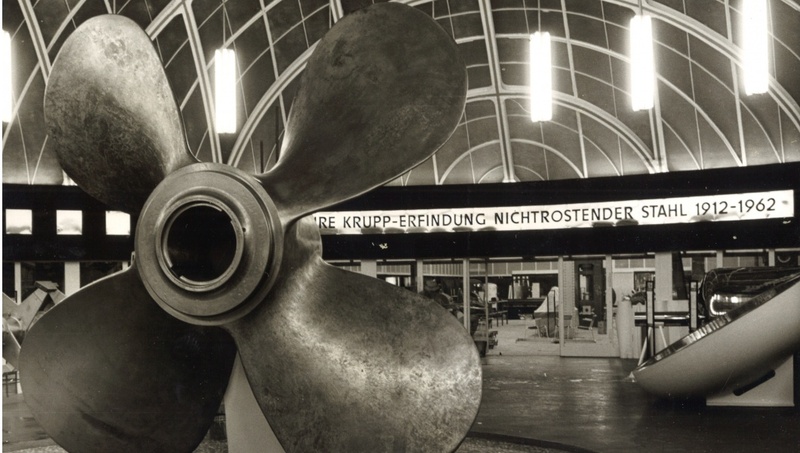 Especially in the early fifties the East German economy suffered from chronical bottlenecks in the transportation sector causing setbacks for the ambitious industrial development plans. The economy of the GDP had to cope with limitations of transport supply and was forced to adjust its transportation demands to the Reichsbahn capacities. Although some forms of central planning and rationing schemes were inevitable, the implementation of central planning in the transportation sector was mainly a political target. So Reichsbahn executives quickly had to learn that central planning of transportation led to a suboptimal allocation of goods and could not be applied to a developed economy without detriments. Despite the most serious effects of track dismantling for a period of at least two decades, the consequences of the German partition should not be underrated. The Reichsbahn was cut off from its hard coal and locomotive suppliers in Western Germany and had to follow a costly path of autarky. The communist policy of breaking the economic ties to the FRG caused serious setbacks for the technical modernization of the Reichsbahn. According to the communist policy of neglecting the \"non-productive\" transportation sector, most urgent investments in the rolling stock of the Reichsbahn were delayed up to the mid sixties. A detailed analysis of Austria\'s largest industrial enterprises in the 19th and 20th centuries allows the following conclusions: 1. Foreign transfers have played an important role in Austria\'s industrialization. 2. A much larger number of new jobs have been created by the transfer of entrepreneurial spirit - represented by company founding individuals and firms - than by the transfer of capital through the takeover of existing firms. 3. The relatively small number of subsidiaries of foreign companies has prevented a significant and continued dependence of Austria\\\'s industry on foreign firms with its possible negative implications. A comparative look at the industrial development of Peru, Kenya and Taiwan has shown that only in Taiwan, the most developed of the three countries, transfers of entrepreneurial spirit through Japanese and Chinese company founders have played a role similar to the Austrian experience, whereas in Peru and Kenya transfers of capital through foreign firms resulting in the creation of relatively few new jobs have been more important. The comparative study of the industrialization of Austria and three Third World countries may lead to the following recommendations: 1. It should be realized that direct investments of foreign firms create fewer new jobs than has generally been thought. 2. Therefore it is the investments of individuals rather than those of firms that should be promoted and attracted. 3. Such a policy would contribute to reducing foreign dependence and to developing an autonomous and adapted process of industrialization. The Baumwoll-Aktiengesellschaft Bremen (Baumag) was founded in November 1941 as a private company of cotton traders and spinners. It was put in charge of the cultivation of cotton in the German occupied Soviet territories, especially the Ukraine and the Crimea, by the state-controlled Ostfaser. Thus, the history of the Baumag allows an insight in the structure of the new enterprises which were supposed to manage the exploitation of the Soviet Union, and also in the German occupational practice as a whole. The remarkable aspect of this is the mixture of private entrepreneurs and state, party and military representatives in the supervisory board of the Baumag. Furthermore, the influence of the German big banks, first of all the Deutsche Bank, attracts attention. The experts of the company followed the first German troops and took over the Soviet system of cotton cultivation. However, there were many problems which complicated the work of the Baumag, above all the lack of fuel and seed and the deportation of workers during harvest. The Baumag was increasingly impeded by the malfunctioning occupational administration. So the company could never reach its declared aim: the improvement of German supply with cotton. Germany was a late-comer as a colonial power. The first wave of annexations occurred in 1884-85 when the greater part of the German colonial empire was acquired, and was followed by a second minor wave in 1897-99 when Kiautschou, the Caroline and Mariana Islands and Samoa were also obtained. The article describes and explains the annexation of the Caroline and Mariana Islands, and argues the case that the prime motive for the annexation was economic expansion, and not the extension of naval power. After ceding their Caribbean possessions, the Philippines and Guam to the United States, Spain agreed to sell Germany the Caroline Islands of Yap, Ponape and Kusaie in September 1898, and all the Caroline and Mariana Islands except Guam in December of the same year. A Spanish-German treaty was signed on 12 February 1899, fixing the price at 25 million pesetas, equivalent to 17 million marks. Secretary of State von Bülow glorified the acquisition of the Caroline and Mariana Islands as the cornerstone for the proud building of a \"Greater Germany\". The economic importance of the Islands, however, was negligible. In Germany\'s imperialist \"Weltpolitik\" of the 1890s, the Caroline and Mariana Islands were to symbolise dreams of greater colonial gains never to be realised.